In a couple of weeks we'll be able to say that its autumn - or if you live in Scotland like me, you'll already be feeling like its winter. Either way, its time to say goodbye to the promise of the sun, and start taking out the autumn clothing. 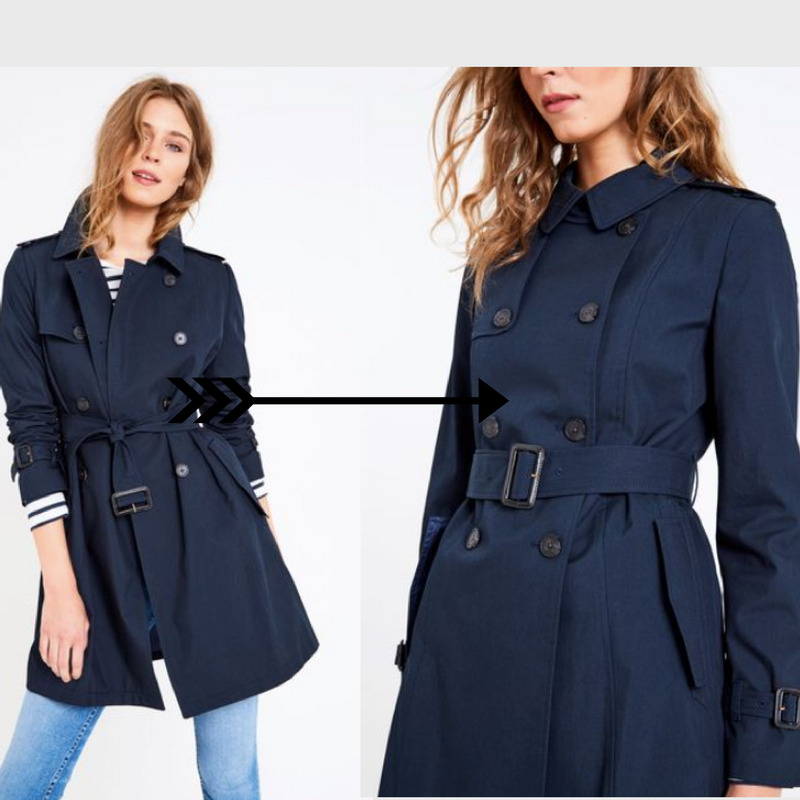 The perfect addition to any autumn / winter wardrobe is a trench coat - dressed up or down, it can be one of the most versatile piece in your wardrobe - and lucky for you, Jack Wills have you covered for all your trench coat needs, including a handy guide on how to style your trench coat. The trench coat: a well known and well loved favourite in the eyes of many. What's so good about a trench coat, I hear you ask? Put simply - it can be worn with anything and in any way. Jack Wills have new trench coats in for autumn, coming in different colours and different cuts and styles. If you thought that beige and long were the only styles for a trench coat, then you thought wrong. Jack Wills women's trench coats offer you different styles for you to suit to your own taste, and perfect to wear for wherever you're heading. Don't believe me? Have a look at these outfits I've put together - featuring some other clothes from Jack Wills, which I've paired together to suit different occasion. Why don't you let me know which one is your favourite! Arguably the best outfit for a casual day look is something that is slouchy and comfortable. 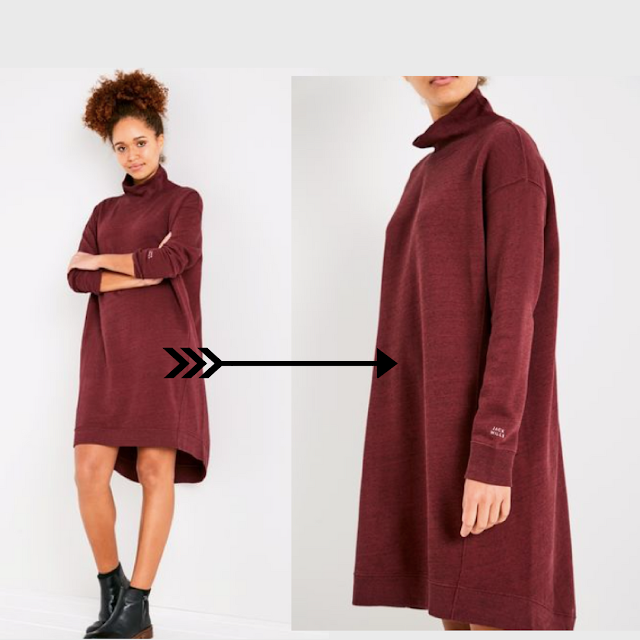 What could be better than this Elswick Funnel Neck Sweat Dress? It's everything that you need for autumn and winter, and can be easily paired with thick tights and some boots to keep you extra cosy. I've decided to pair this dress with the Ambrose Trench Coat in Navy. With its mid thigh length, this coat would be great to pair with dresses. 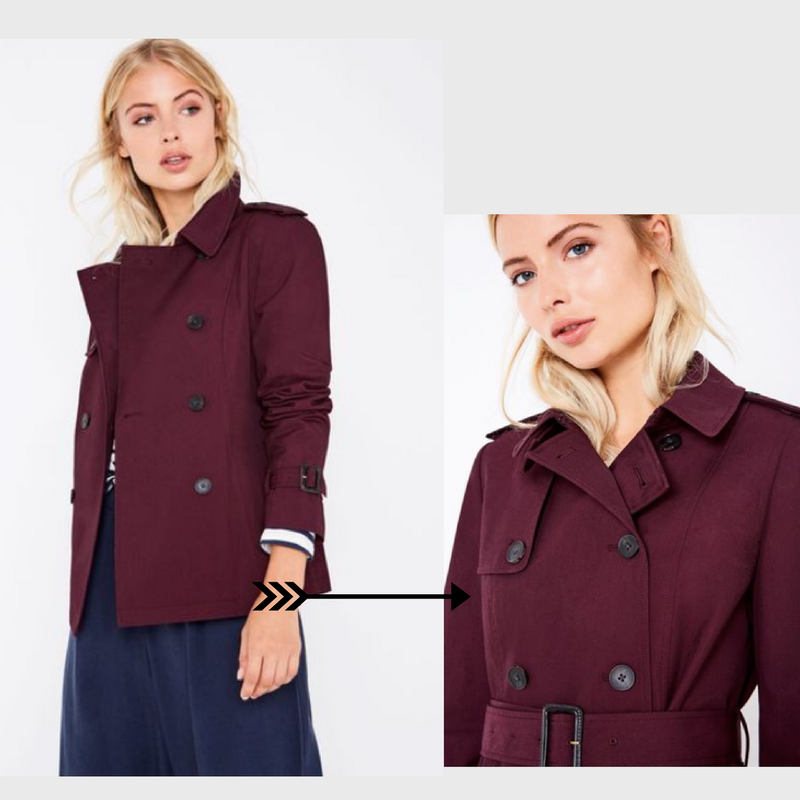 I think that the navy of the coat goes great with the Burgundy of the dress. Worn with the buttons and tie done up, or worn open to show off the dress, I think that this coat and dress pairing is the perfect day look for anyone that's looking for that comfort - especially any students who will be spending the day at the library. 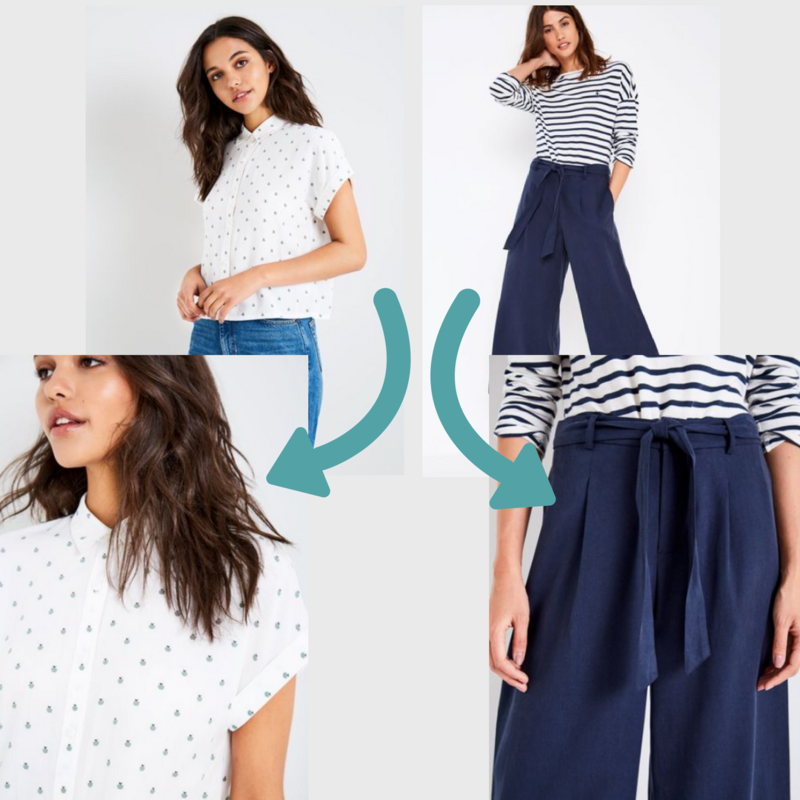 Culotte trousers are the in thing this season, everyone's wearing them - and they can really make an outfit look that bit smarter. That's why I've chosen them for my 'work wear' look. These Bincombe culottes in navy are great for a day at the office. I've matched them with a cute little shirt - the Tyning short sleeve shirt - which has apples printed over it. I thought tucked into the culottes, this would be a perfect outfit for a day spent at the office. 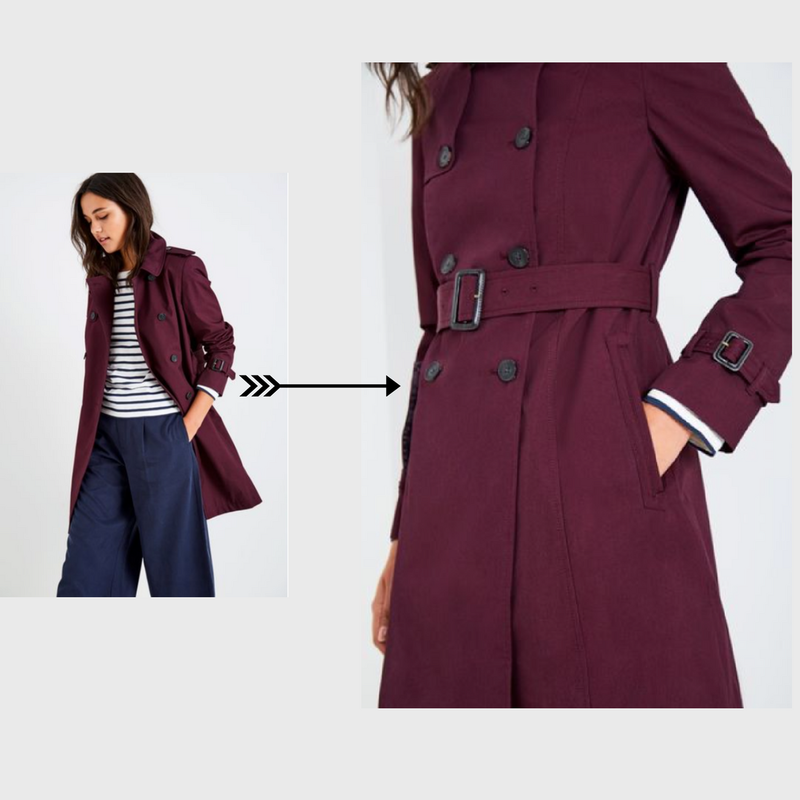 To match this outfit, I've selected the Ambrose Trench Coat in Damson. This coat has such a gorgeous colour, that is always the colour come autumn and winter - so this coat could be paired with almost anything in your wardrobe. I know I'm always lusting after deep berry tones come the colder months, so this coat would be ideal for those like me. I think that the combo of the berry coat with the navy trousers looks great. And the structure of the coat, with its belt to cinch in the waist, contrasts the loose trousers. Smart casual - every girls nightmare. What does jeans and a nice top really mean? No matter what, you can't go wrong with a pair of black jeans, which is why I've selected the Fernham Super Skinny Cropped Jeans. These would look great with both flat shoes or heels, if you're going a bit fancier. 'A nice top'? I think that something with a little detail is a perfect example of that elusive 'nice top'. 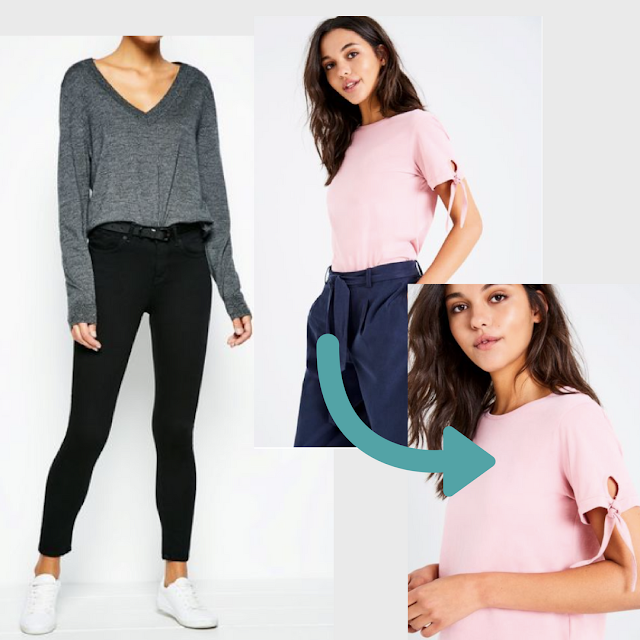 This powder pink top - the Rishworth Bow Sleeve T shirt - has a lovely detail at the sleeves, meaning that it would be great to wear when dressing up for a few drinks. To make this outfit look that little bit smarter, I thought that the Ambrose Trench Coat in stone was a great fit. This coat is a classic - the colour means that you can match it with anything - and I mean anything. Its a coat that will never go out of fashion, the timeless cut and shade will have you wearing it every year. Whether you're wearing a smarter look, or simply blue jeans and trainers, this is the coat that you'll be stretching for in your wardrobe. 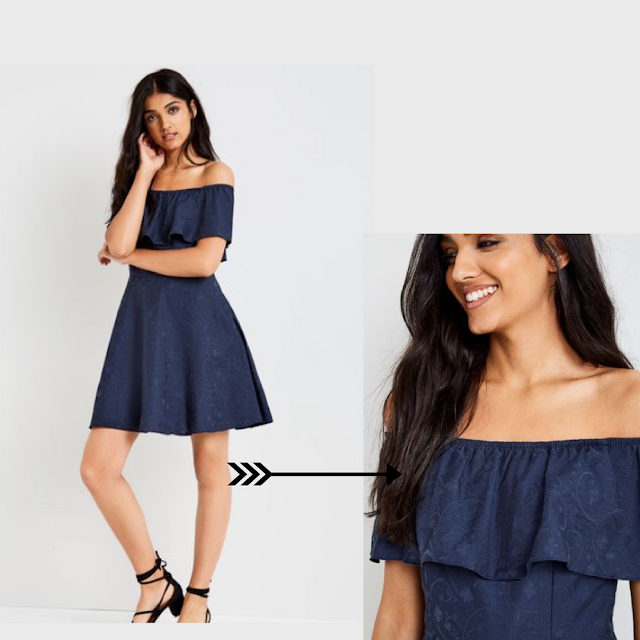 What says party more than a fancy little dress? In my opinion, a dress that you can twirl the night away in will always be the winner. And right now, with the Bardot style very in fashion, this dress is the one. With a lovely off the shoulder frill, the Ella Off Shoulder Dress is for both summer and winter - while is can be worn tightness in summer, the darker tone of the dress lends it perfectly to the winter season. There's nothing better than a twist on a classic - and this Hathershaw Cropped Trench Coat is a fun example of how mixing things up a little can really work. Again, I love the berry tones of this coat, which matches the navy dress perfectly. What I think works really well with the dress is the cut of the coat. As it's cropped, it sits along the hips, allowing you to show off the skirt of the dress. While I've paired it with the dress, I also think that it would look great with some high waisted jeans. These are just four examples of ways that I'd style a trench coat. Which look is your favourite? It's obvious that the trench coat can be styled in so many different ways. 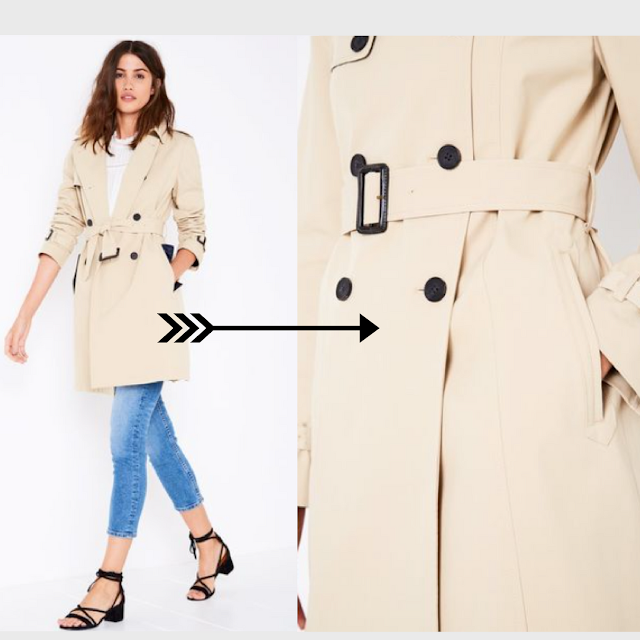 Whether you're wearing it with jeans or a dress, the trench coat is a great addition to any outfit. Anyone else find themselves putting on a great outfit then struggling to find a coat that matches? It's a daily struggle for me. With a trench coat in your wardrobe that's one struggle gone. What's even better is that you can wear it open and with sleeves rolled up on hotter days, or buttoned up and paired with a scarf for the colder days. So, how would you style a trench coat? **This is a sponsored post, however all opinions stated are my own. My trench coat is one of my favorite piece of my wardrobe ! It can be style in so many way !